No boring white: Can you smell the wonderful aroma of roasted chestnuts? 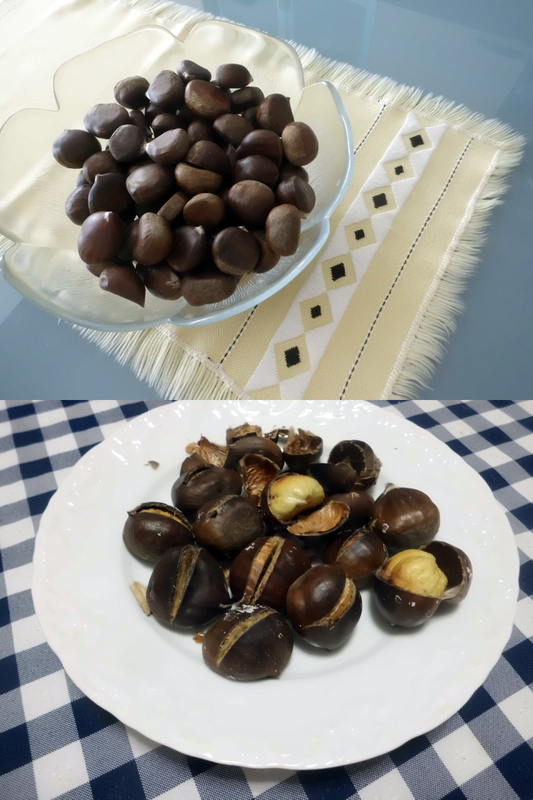 Can you smell the wonderful aroma of roasted chestnuts? Before and after! Roasted chestnuts! Just do it! First heat the oven. Then, using a sharp knife cut the skin of each nut. Put in a roasting tin, sprinkle with water and salt. Let it bake until the skins open. Roast for 15 to 20 minutes. Inside it gets more color and become tender. The house smells good! On St. Martin's Day Eve we (the women in Portugal) have the tradition of eating roasted chestnuts. Tomorrow it will be the gentlemen's turn! The glass of jeropiga is missing! Usually we get some good weather in this time of year. We call it Verão de São Martinho (St. Martin's Summer). This year was no exception. 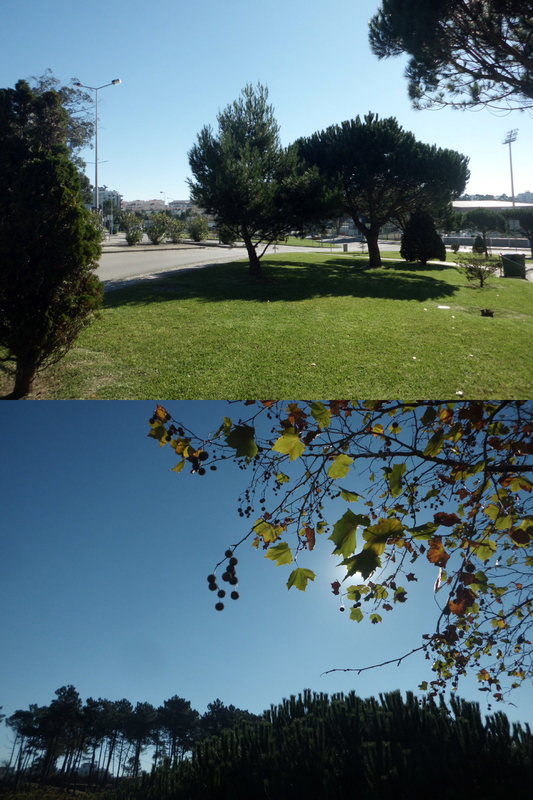 What a glorious sun, 77º maybe, really hot, since Friday. But nights are rather cold! I took these photos today, such a wonderful light! 27 wall clocks for kids room décor from Society6! Great Christmas shopping deals on Zazzle! How to best use Pinterest?